Rapid Dominance is known for its unique outfit and accessories for military people. We make products with high quality raw materials. We strive hard to give durable T-shirts and caps for the army. We design and incorporate style and strength to the products with our innovative ideas. Our mission is to make you more comfortable and to exceed your expectations. We are proud in serving for the people who serves for the nation. 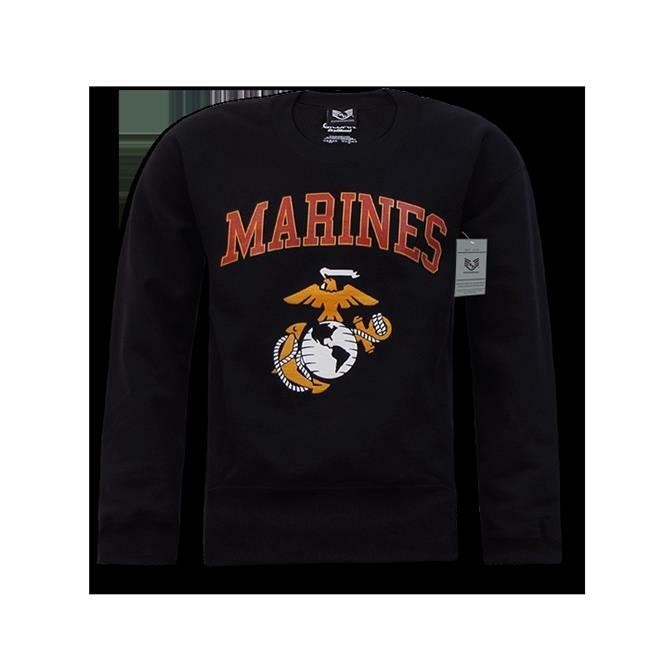 The military crewneck sweatshirt by rapid dominance is a warm, fleece pullover sweater featuring a screen printed military text and insignia. The soft yet thick construction is sure to keep you warm at all times.